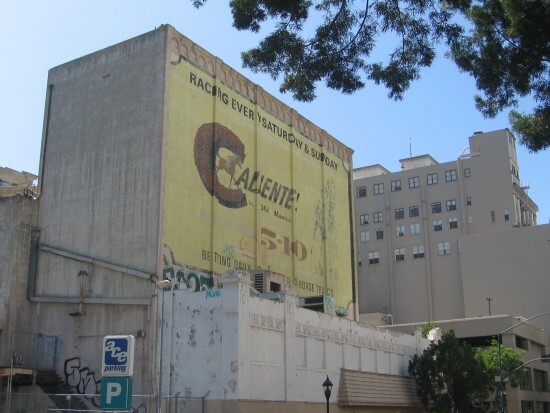 Caliente horse racing sign on downtown building. – Cool San Diego Sights! Previous Previous post: Mother and child mural on Little Italy building. Next Next post: San Diegans donate used textiles for charity.